An ancient Mayan text captured the moment when a royal astronomer made a scientific discovery about the movement of Venus across the night sky. The text, called the Dresden Codex, contains laborious measurements of the rising and setting of Venus. Based on these recordings, historians can now place this astronomer within a 25-year span within the first half of the 10th century. "We can see the moment when this person puts it all together," said Gerardo Aldana, a science historian in the Department of Chicano Studies at the University of California, Santa Barbara and a co-author of a new study describing the findings. 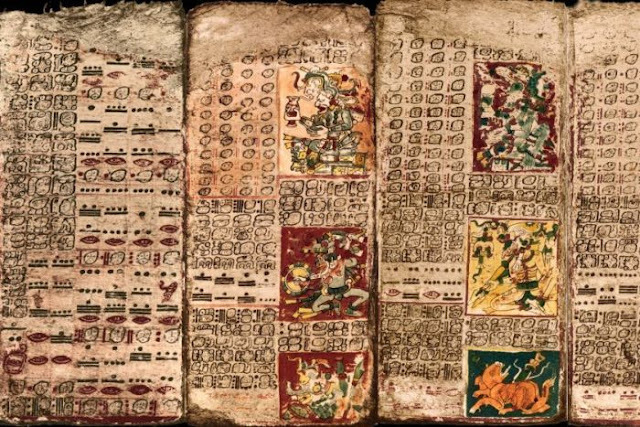 Fascinating backstory The Dresden Codex is a gorgeous Mayan text of 39 double-sided pages with a murky and fascinating backstory. The document somehow made it out of the Yucatan Peninsula and into the Royal Library in Dresden, Germany by the 1730s, according to the Foundation for the Advancement of Mesoamerican Studies. Then, in the late 1800s, Ernst Förstemann, a German mathematician with no background in Mayan history or culture, came upon a table of Mayan numerals on page 24 of the codex. Förstemann deduced that the table contained measurements pertaining to Venus, even though no one at the time could decipher Mayan hieroglyphics. Then, in the 1920s, chemical engineer John Teeple looked more carefully at the numbers and realized that the Maya were using a sophisticated technique to correct for the shift in their calendar caused by the irregular cycle of Venus, Aldana said. Many scholars assumed that these corrections were done by using numerological techniques, for instance by inventing a past Venus event and then predicting future ones by calculating from that fictional anchor event. Ancient astronomer For this new research, Aldana analyzed the wording around the Venus table. From that, he deduced that the Maya were actively measuring the phases of Venus in order to time their ceremonial events with more precision. That meant the first anchor event was an actual, historical measurement. Photo: The Preface of the Venus Table of the Dresden Codex. The Maya "had a really elaborate ritual set of events that were tied to the calendar," Aldana said. "They were probably doing large-scale ritual activity connected to the different phases of Venus." The corrections in the Venus table, then, were made because the Maya didn't want to have their holidays at the wrong time: Little inaccuracies in the calendar wouldn't have mattered much in the short term, but over hundreds of years, they could lead to a big mismatch in when certain ritual events were supposed to occur and when they actually did occur. The combination of the text and the table reflects a sophisticated scientific method of observation at a specific point in time in the "Terminal Classic Period," or the 10th century. 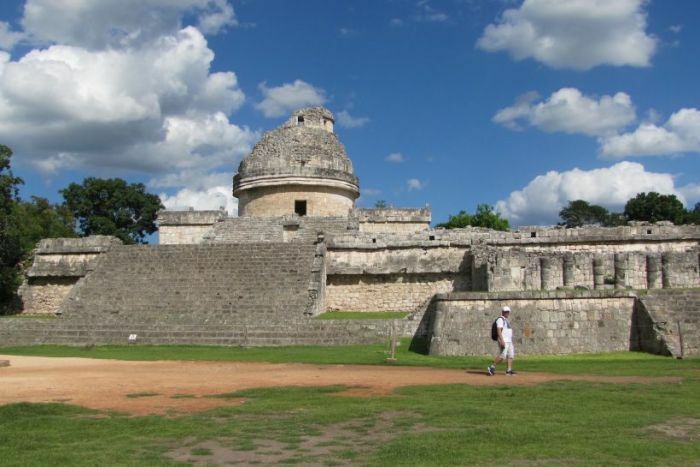 "The Observatory" at Chichen Itza, where a Mayan astronomer would have worked. "There's this 25-year period, a window, when an astronomer could have been making these records," Aldana said. This Mayan Copernicus, whose name is unknown, could have been looking up at the star-speckled night sky for years, making minute observations from the shell-shaped observatory called El Caracol at Chichen Itza. 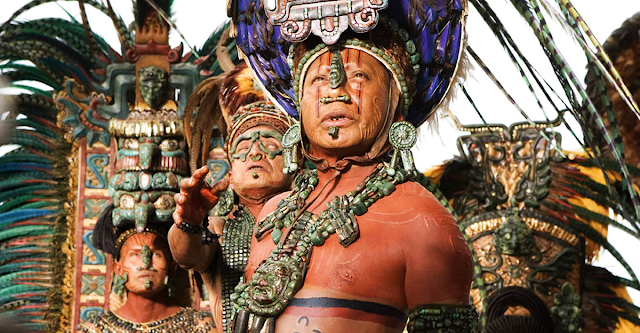 What's more, he may have been put to this task by a historical figure named K'ak' U Pakal K'awiil, Aldana reported in the current issue of the Journal of Astronomy in Culture. The Venus table also matches another measurement of a Venus event found in a text from an ancient Mayan civilization called Copán, in what is now Honduras. That text was written 200 years earlier than the Dresden Codex, suggesting that the Maya were keeping centuries of astronomical data around for future scientists to analyze, Aldana said. 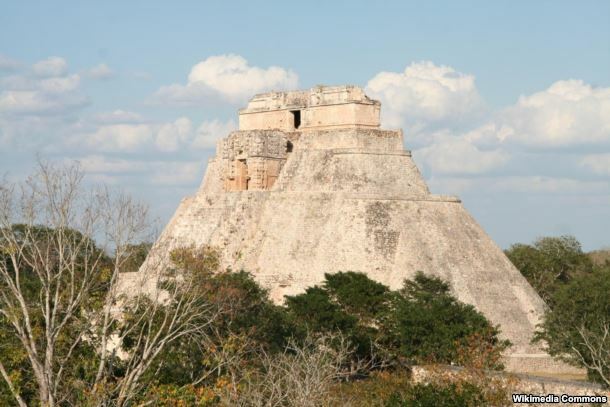 The ancient Mayan city of Uxmal. Venus rising The measurements in the Dresden Codex coincide with a time period when Venus became much more religiously significant in Mayan culture. In the Classic period, between A.D. 300 and 1000, civilizations at Copán, Palenque and Tikal had no oversize interest in Venus. "There's this transition that occurs in the post-Classic [period]," Aldana said. "Some scholars have argued there's closer to a pan-Mesoamerican religion tied to this Quetzalcoatl figure who is very tied to Venus." As a result, the Maya of the last Classic period would have had an increased interest in studying the movement of the planets, Aldana said. Responses to "The Maya Were Tracking the Planets Long Before Copernicus"
Pity we can't see the sky like for two days in a row here in Ireland, to really study the stars, too much rain and too little trees!